Much of the east and north of Vanuatu’s Ambae Island have experienced heavy ashfall after the eruption from the Manaro volcano intensified on Monday, residents say. One resident, Marsden Philip Vuvu, said there was a thick fine ash on his veranda and it got so dark at four in the afternoon that people were forced to used torches. 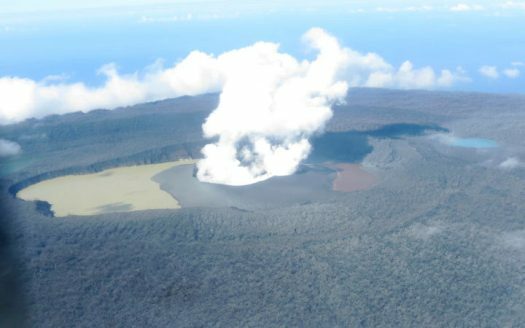 The Department of Meteorology and Geo-Hazards in Port Vila has also called on residents to keep well away from the no-go zones and warned that the eruption may eject rocks from the crater. The Department warns that with the current wind direction, the nearby islands of Maewo and Pentecost may also be affected by ash fall.